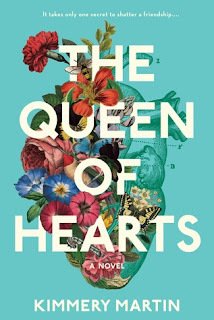 A debut novel set against a background of hospital rounds and life-or-death decisions that pulses with humor and empathy and explores the heart's capacity for forgiveness...Zadie Anson and Emma Colley have been best friends since their early twenties, when they first began navigating serious romantic relationships amid the intensity of medical school. Now they're happily married wives and mothers with successful careers--Zadie as a pediatric cardiologist and Emma as a trauma surgeon. Their lives in Charlotte, North Carolina are chaotic but fulfilling, until the return of a former colleague unearths a secret one of them has been harboring for years. Lies, betrayals, manipulations, and secrets- this book has them packed in so tight it can hardly contain them all. I still can’t wrap my head around some of it, and my feelings are still unsettled, even now. This story is part cautionary tale, partly a tale of borderline obsession, with a river of deception, envy, insecurities and competition. But, rest assured- your sins will always find you out. You can bury them, ignore them, hide them, and run from them, but eventually the truth bubbles to the surface. There are always consequences for our actions, some that take no prisoners, who hurt the very people we love and respect. Everyone has a secret, everyone has made questionable decisions, let our morals sink below our own standards. Atonement is a must, redemption hoped for. But, it is forgiveness that is the hardest thing to accomplish, but it is also the most powerful, effective ability humans are capable of. 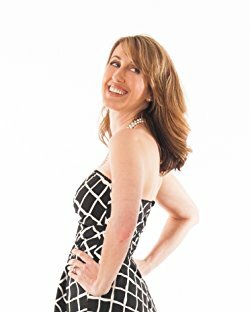 Kimmery Martin is a doctor, book reviewer, author interviewer, traveler, and obsessive reader. Her debut novel, The Queen of Hearts, was a huge hit among three of her friends before being picked up by Penguin Random House. Kimmery lives in North Carolina with her husband, three children, and the world's most obstinate dog. You can read more of her writing, including travelogues, book reviews, and social commentary at www.kimmerymartin.com.